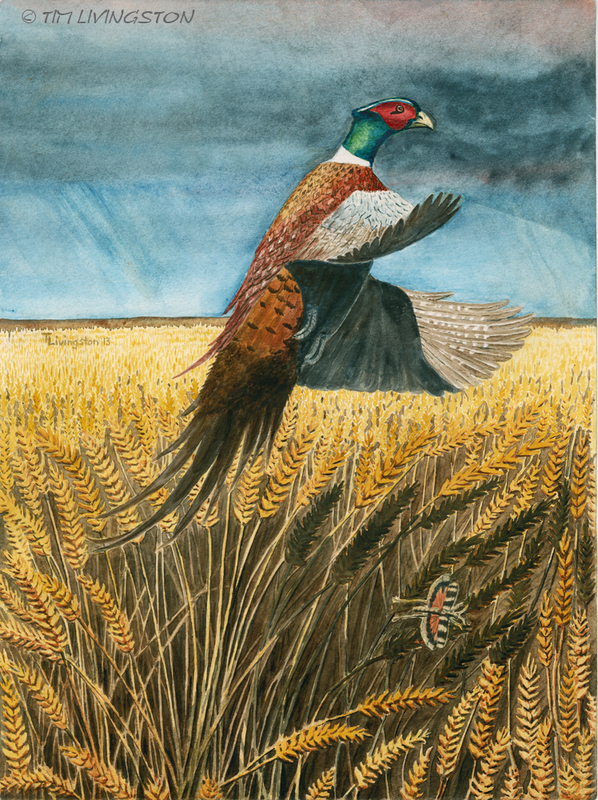 This entry was posted in Musings, Traveling Companions, Wildlife and tagged art, Blitz, dogs, golden retriever, Hunt, hunting, Pheasant, photography, watercolor, watercolour by foresterartist. Bookmark the permalink. What a great post! I really enjoy your painting. And the photography. And most of all the dogs. Since I spend half my time in North Norfolk where there pheasants are at home and stroll around in the garden like dogs 🙂 I have stopped eating them though. Grand dogs you all have. Thank you so much Dina. Thank you so much Poppy. We do love those darn dogs. As for the “pheasant copter”, you don’t know how true that is when you step on a sneaky pheasant and it blast out from under your feet. It get my blood pumping! Beautiful, thoughtful post and a wonderful painting! I enjoy how you share your experiences and what they mean to you. Great pics. LOVE the dogs…I have three Goldens!!! Ah gee. I hated reading about Hawk’s demise. All of that is so sad. I am sure that you still get sad when thinking about those hunting buddies that are now gone. I know I do about some of my dogs that I loved so much. I’ll have to read Mary’s post. I am not getting notices and I seldom go to the reader. Too much scrolling. All the photos are wonderful. 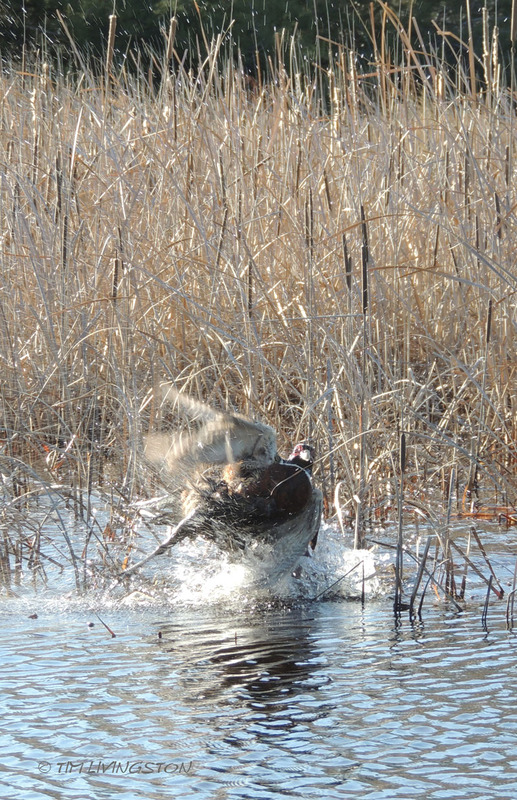 Really like the Canada gander and goose. The peasant painting is a beauty. 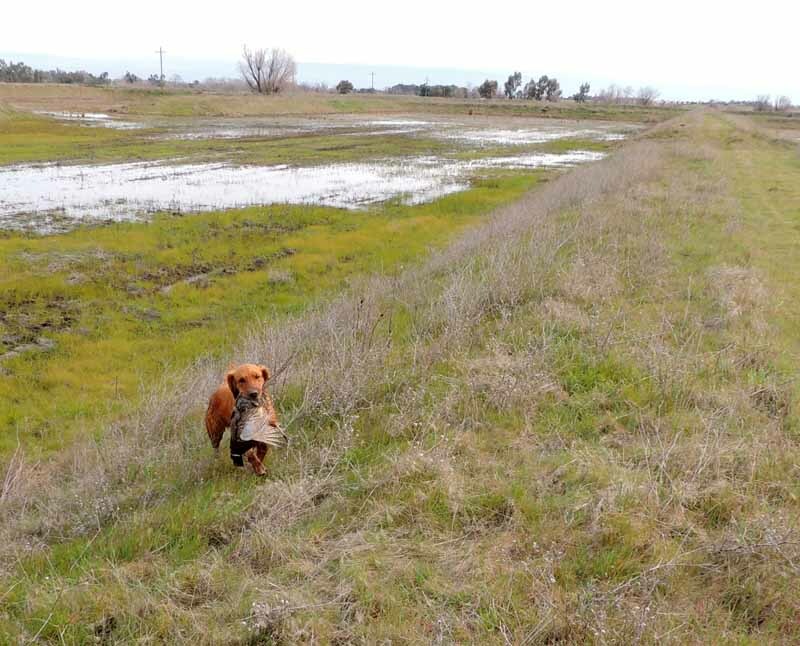 Just look at the picture and you’ll be wishing that you were out on a hunt with the dogs. The situation was a tough one for sure. We expect it with the old ones, but losing the young ones can be a shock. It was really tough on Mary as he was her baby. 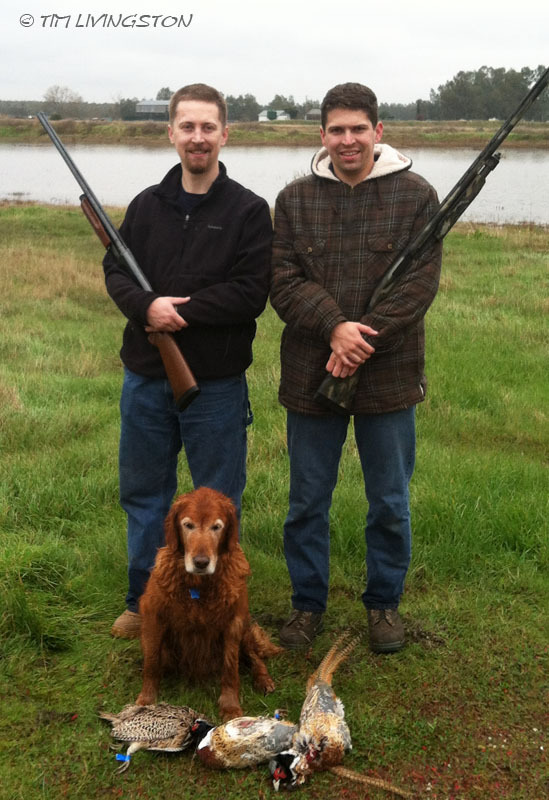 Hunting with those dogs is always a joy. The stories I could tell! Oh he is the dog that Mary is missing so much. He sure was a handsome boy. Your Goldens are fantastic dogs- I can tell from all of the photos and how you and Mary write such loving things about all of your dogs- past and present. Beautiful dogs! And I understand it is their nature. We have a lab who is happiest when retrieving the ball or swimming! They are working dogs and they love to work. 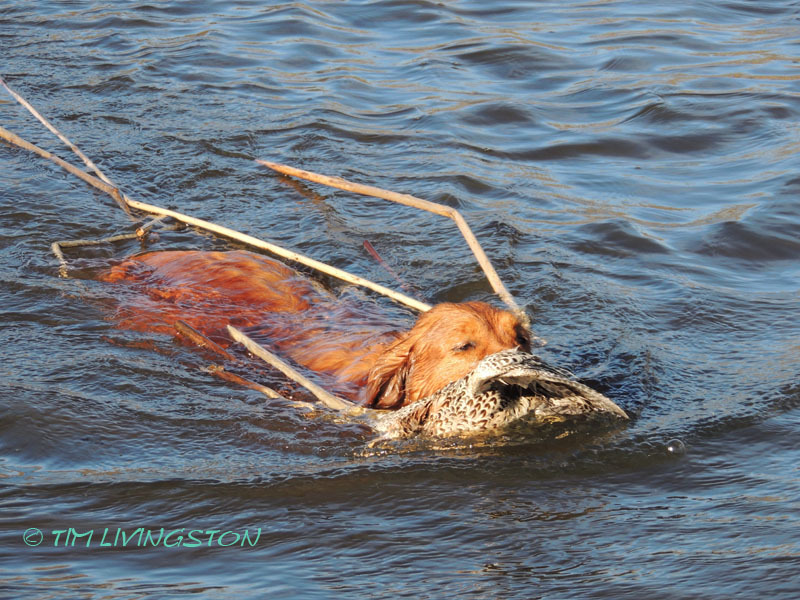 Most of them never hunt, but if they get time to fetch a ball and swim they are happy. They all need a job and sometimes it is family dog extraordinaire!. Thank you Zest, I’m glad you enjoyed the post. I must say that I enjoy the live pheasant! YOur painting is quite beautiful. Thank you Elena. I like the live ones too, and I know the rest of it is not everyones cup of tea. Beautiful painting. I’ve found it difficult to eat birds since my son named the barbecued chicken we had just bought Bob, and chatted to him all the way home…. Thank you, but did he eat the chicken? I took my grand kids fishing in our pond. They all caught fish and my 5 year old grand daughter caught a large bass. We gathered around the sink to clean the fish, but first I had to dispatch it. When I did so my 4 year old grandson wailed and ran out of the kitchen. Grandpa was bad! When all was said and done however, he ate the fish. Thank you so much. I’ve never been to Italy! I am not a hunter, Tim. I would not know how to provide for my family this way. 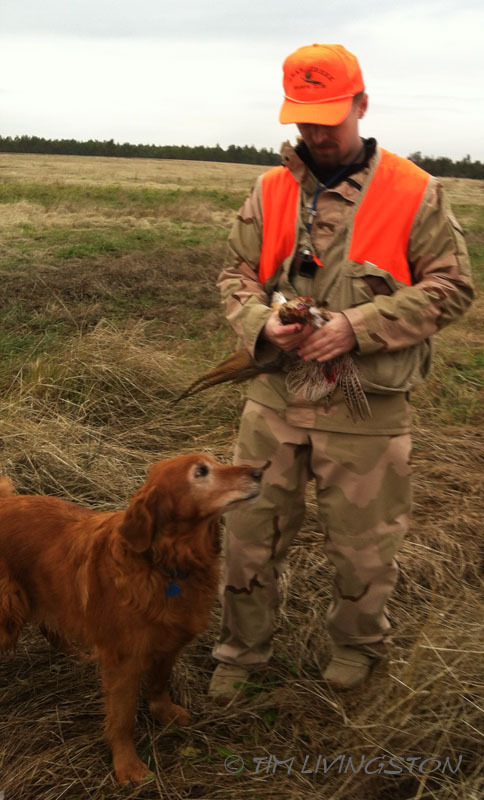 I was touched by what you said about your feelings as you hold the lifeless pheasant in your hands and appreciate the gift because that is also the way I feel as I buy meat in the grocery store. I read a beautiful story last night in a book titled “A Place In Time” by Wedell Berry. It is a collection of short stories. I was deeply touched by one titled “Mike” found on page 155 in the hardback copy. I think you and your wife might enjoy this book and that particular story. 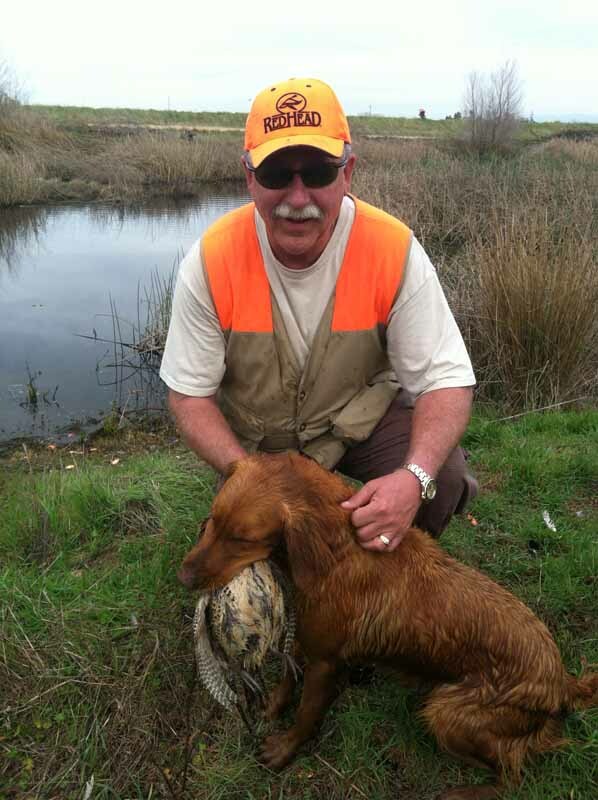 Mike is a hunting dog, but much more too, just like your family. The painting is awesome! It, definitely, deserves framing and a spot in your office. That Wendell Berry. Sorry for the typo! Thank you so much Leslie. I really appreciate your comment. I will definately find the story. I just hope nothing bad happens to Mike. I am such a sap for a sad dogs story or movie. 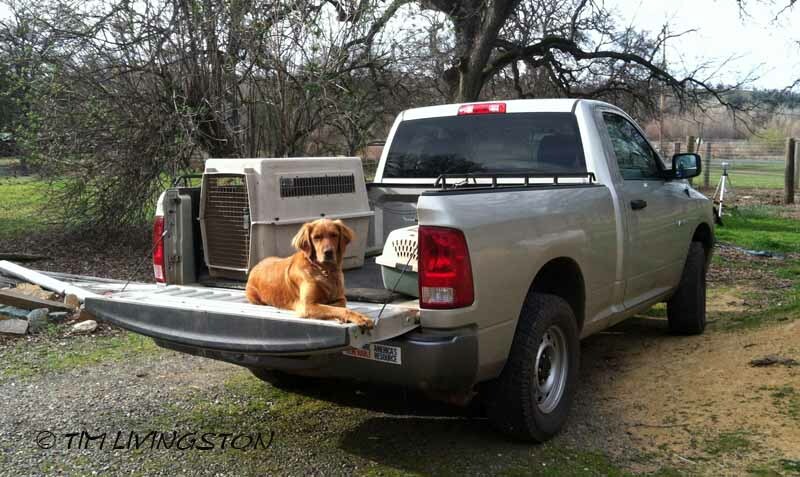 Nothing worse then some old dirt forester getting misty eyed over a dog, but that’s me. I haven’t framed or matted the painting yet as I still need to acquire the right frame. One more thing to get done. I am looking forward to hanging it. Mike lives a good long life. There is humor in the story as well. Thanks for the reblog JK! Excellent article. I too have experienced all that you’ve shared. The joy of the hunt, the sadness of the kill, the blessings of the meal the animal provided—that it gave its life, so mine could continue. But the part that had the greatest effect on me was the homage to your dogs. I too, love my dogs In fact, my last two sermons in Seminary were, “I love my dog with all my mind, heart, soul and strength…but I guess I’m dyslexic.” And “All my theology I learned from my dog.” I’ve always said, and will always say, God knew exactly what he was doing when he created a dog. Thanks for sharing your thoughts! Beautiful painting by the way. Thank you Colt for your kind words. 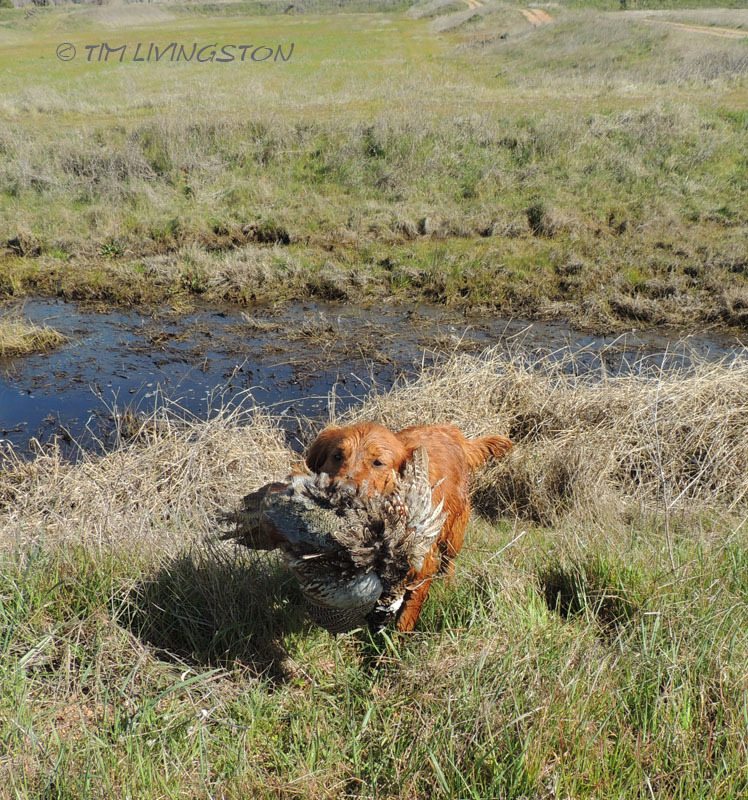 I waited a long time before doing a blog on hunting. So many people don’t hunt these days and have a very detached perception of it. I decided that I had to talk about it sooner or later because it is a part of who I am. Hopefully I provided a little insight. Most folks are too polite to say something negative even if they have a negative opinion about it. It really wouldn’t bother me if they did, because it brings out the topics that other people are already thinking about. I think everyone should at least once in their life go through the process of hunting or fishing, cleaning, preparing and eating their prey, if for no other reason then to appreciate their food and where it came from. The dogs getting to fullfill there purpose in like makes it all worth while for me. I just love to watch them work. You’ve described the purpose and a bit of the mixed feelings of hunting so well here. Tika & Blitz are lucky to have someone so well attuned to them and the rest of their world. Your painting is beautiful – I love the patterns in the wheat, too. 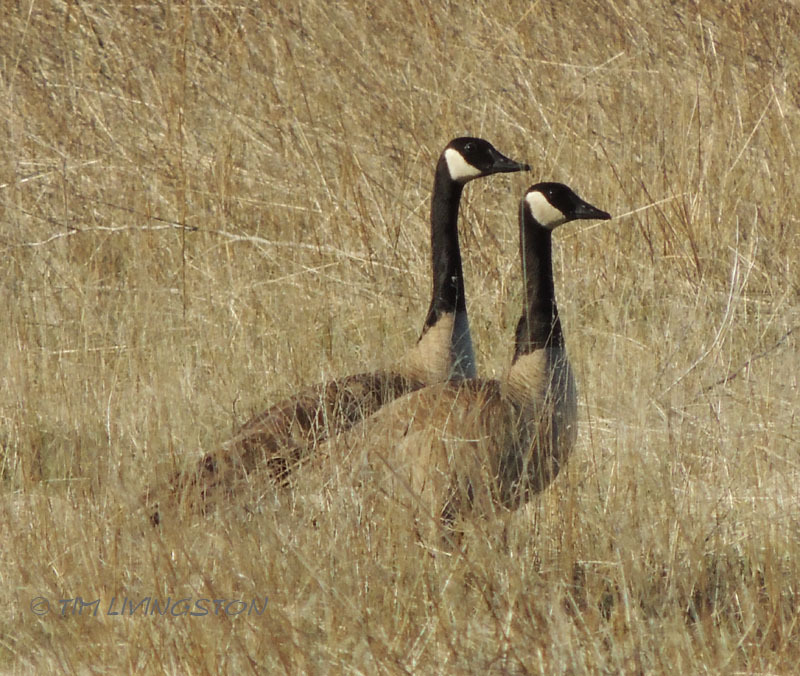 And the photo of two Canada geese i the grass is gorgeous. Thank you Blue, I appreciate your kind words. Thank you Cindy. 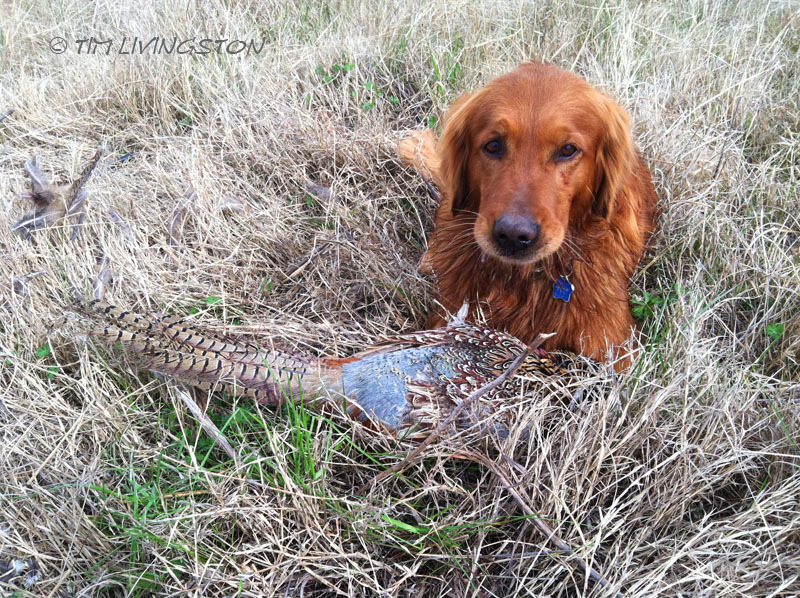 You are right, there is nothing like a good hunting dog. Good post, good painting. 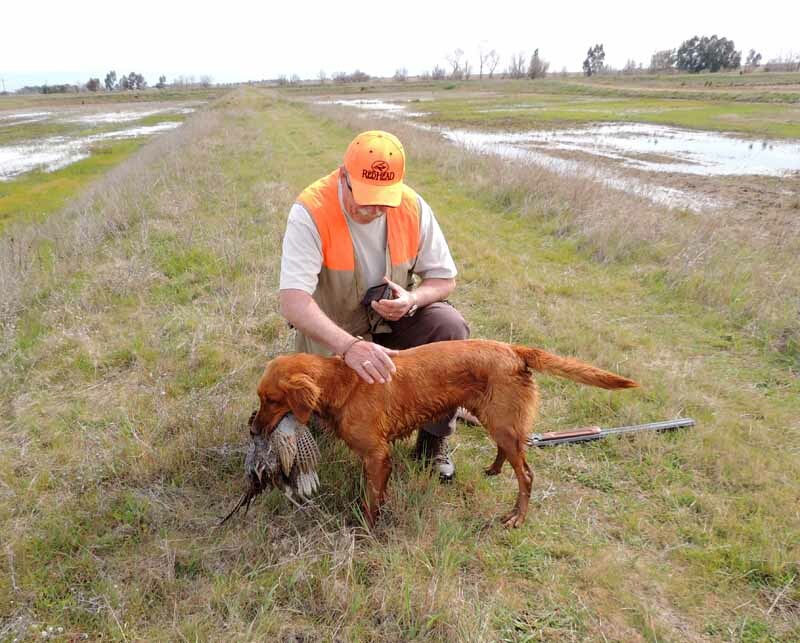 And hunting with a bird dog is connecting with nature. Thank you Robyn! Not everyone appreciates the hunting part. That painting is just fantastic, really magic. Thanks Noeleen. To not eat what is hunted misses the point I believe. 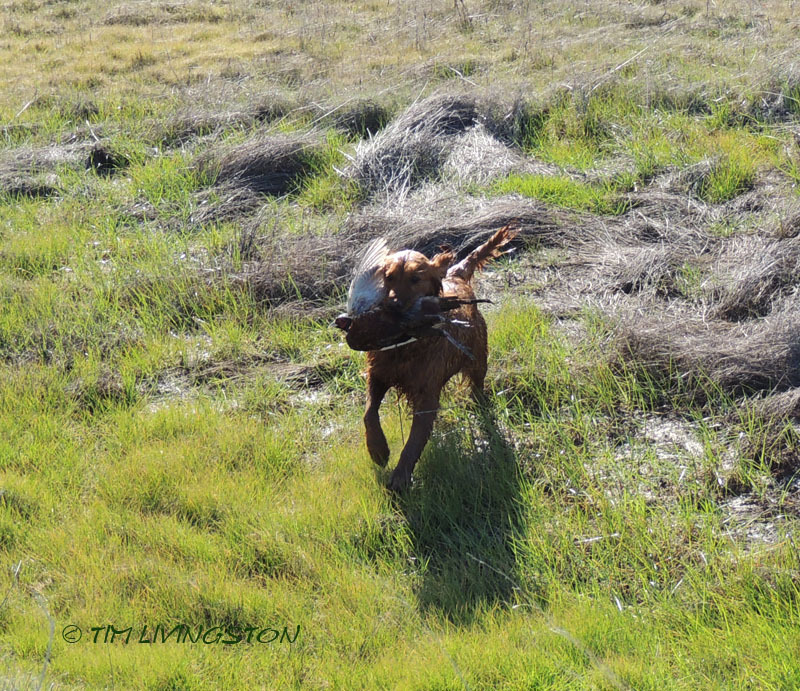 Blitz is happiest in the field for sure.